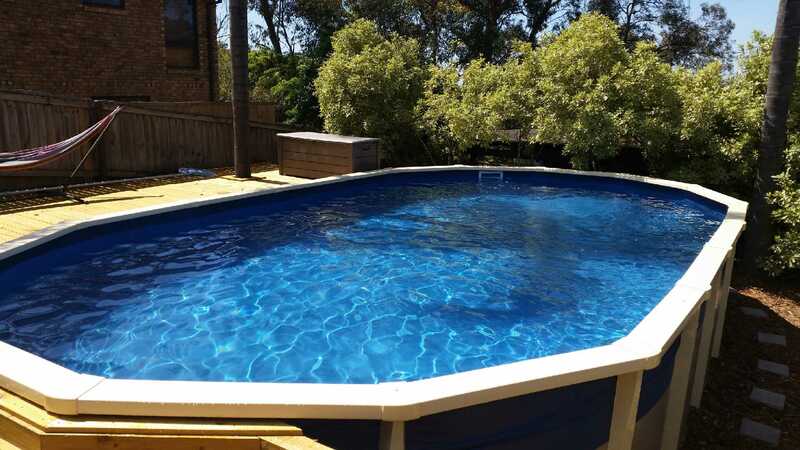 When you live in Australia owning a swimming pool is second nature, thanks to our long hot summers the backyard above ground swimming pool has been a staple in yards for decades. Unfortunately, the pool has been the scene of many drownings and near drownings for just as long, today drownings can be prevented if you are vigilant and not only pay attention when your child is around water, but install the correct pool fencing and gates and make sure they are in perfect working order AT ALL TIMES. Being able to come home from school or work and take a dip in your above ground pool on a hot summer day is a bonus and laying by the pool after a swim is a great way to relax and to enjoy the sunshine. It doesn’t matter how old your children or guests are and no matter how good a swimmer someone is, you should never become complacent about pool security. ● Be alert – always watch children when they are near the pool and NEVER leave children unattended – even for a few moments. It’s your job to avoid getting distracted and keep an eye on the pool. ● Keep your pool locked – Have good quality pool fencing put up around your above ground pool, lock it of a night and don’t leave the keys where children can find them. ● Teach your children proper water safety – be sure that anyone – children and adults alike know how to swim and to understand they are NOT to swim without an adult present and not to run around the pool. Never leave children alone, even if there are other older children in the water with them – they won’t know how to deal with an emergency like you do. If you have children who can’t swim, or who don’t have confidence IN the water they should always wear approved floatation devices or vests. ● Have proper lighting installed – Light any path ways and the pool area with good lighting, this way all areas in and around the pool are visible. ● Make up your own pool safety kit – put together your own little water safety kit and keep it by the pool area, it should include a proper first aid kit and a pair of scissors that can be used – if necessary – to cut away any hair or clothing that may get caught in a flotation device or filter. ● Keep children away from filters – always keep children away from filters and pumps, tell them the dangers if they become trapped and that the area around a filter or pump isn’t a safe place for them to play.